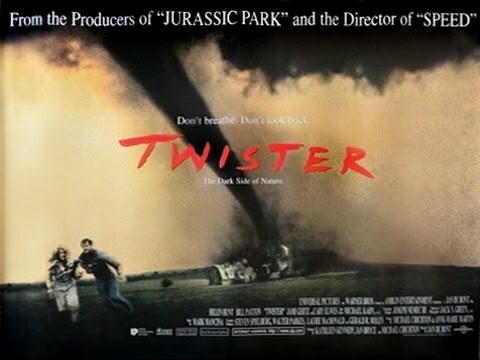 The Free Dictionary Language Forums » English » English Vocabulary » If you liked Twister, you'll love Typhoon! typhoon N. tropical hurricane or cyclone. If you liked Twister, you'll love Typhoon! Q1 What does the sentence mean? If the 'Twister', 'Typhoon' are used as weather terms, they needn’t begin with capital letters. But as the sentence appears under the head word 'typhoon', it might mean something about the weather, I suppose. Q2 Why is the sentence not like as follows? If you liked Twister, you would love Typhoon! No, these are proper names, capital letters with no articles. The only way to understand this is as film titles. If you liked Rocky, you'll love Rocky II. I have no idea why it appeared in a listing for 'typhoon' - but there are a lot of films by that name! However I think most of them use the word as a metaphor for chaos and have nothing to do with any weather phenomenon. 1. It is possible that you liked X at some time in the past. If you liked X (in the past), then you will like Y in the future. 2. I know that you liked X in the past. If you liked X (in the past), then you will like Y (in the future). The if- clause is stating a possibility in #1, a given/conceded situation in #2. 3. It is possible that you like X now. If you like X (now), then you will like Y (in the future). 4. I know that you like X now. If you like X (now), then you will like Y (in the future). The if- clause is stating a possibility in #3, a given/conceded situation in #4. 5. I know that you do not like X now. If you liked X (now), you would like Y (now). 6. I know that you do not like X now. If you liked X (now), you would like Y (in the future). 7. It is possible, though not likely, that you will like X in the future. If you liked X (in the future)), you would like Y (in the future). The apparently confusing fact that identically-constructed sentences can have different meanings is not a problem when you have sufficient context. Thank you very much, BobShilling, for your detailed explanation.